The Equalizer 2 was the big winner at this weekend's box office, but not by much. The Denzel Washington-led sequel earned $35.8 million, which was enough to take the number one spot, but Mamma Mia! Here We Go Again was a very close second, taking in $34.3 million for the weekend's second spot. It was a true battle of the sequels, and Equalizer 2 shot out at the last moment to take that top spot, which was originally predicted to go to Mamma Mia! 2. 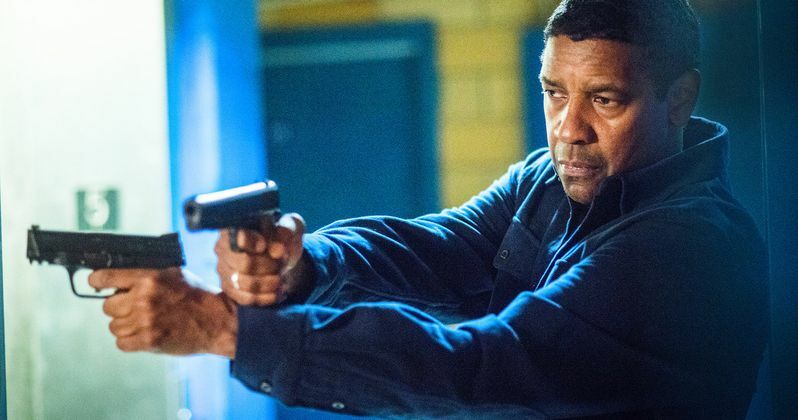 The Equalizer 2 is actually the first sequel of Denzel Washington's long career. The first film was a sleeper hit in theaters when it arrived in the fall of 2014, which opened with $34.1 million domestically and went on to finish it's theatrical run with $192 million worldwide. Overseas, the sequel was able to bring in an additional $3.3 million, bringing the worldwide total to $39.1 million for the debut weekend. Sony's head of domestic distribution, Adrian Smith, is very happy with the sequel's opening and attributes it to the power of Denzel Washington. Mamma Mia: Here We Go Again was able to bring in more money overseas than it did in North America. The domestic total is $34.3 million, but the overseas earnings brought in an additional $42.4 million, bringing the worldwide total to $76.7 million. The first Mamma Mia! hit theaters over a decade ago with a $27 million opening, which later led to a worldwide gross of $615 million. Adding to the allure of the sequel is the music of ABBA, which is a lot bigger overseas than it is in North America. Taking in the third spot at this weekend's box office is Adam Sandler's Hotel Transylvania 3, which is in its second week in theaters. The animated family comedy was able to bring in $23.1 million, which means that the third installment in the franchise is on par with the previous two films. Worldwide, Hotel Transylvania 3 has raked in over $200 million. The fourth spot at this weekend's box office went to another sequel, which is Marvel's Ant-Man and the Wasp. The Marvel Cinematic sequel was able to pull in an additional $16.1 million this weekend, bringing its worldwide total to $353.5 million.